Firstly how incredible does this bubble bar look! It is such a brilliant design and I just can’t get over how cute it is! Plus it is possibly one of the most Christmassy products out this year. Looking like a little sliver sparkly Christmas pudding toped with a sprig of holly, it almost looks good enough to eat. (Although I don’t think it would taste to good if I did). Not only does holly golightly look very Christmassy it also smells very Christmassy. 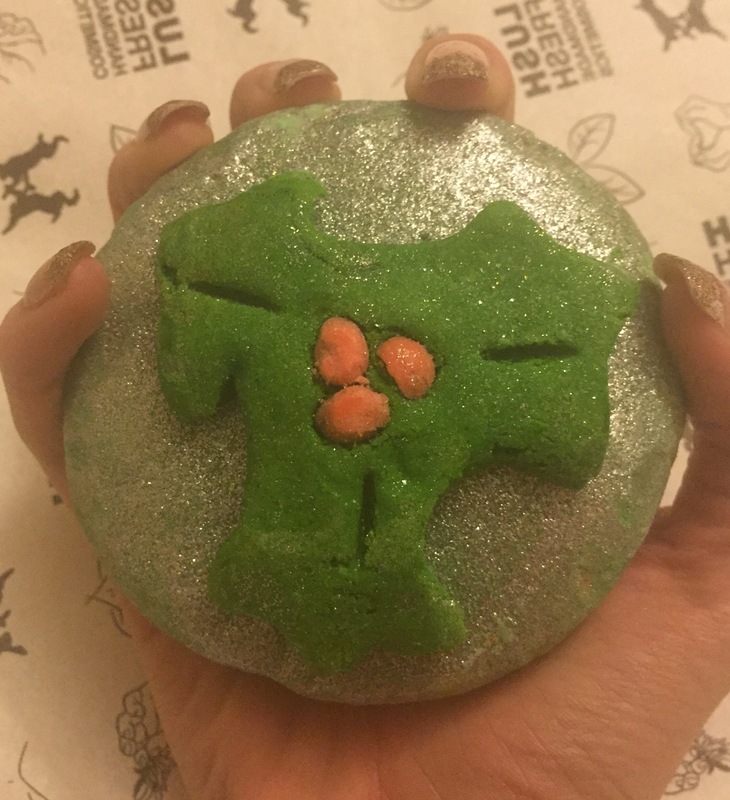 Featuring spicy cinnamon leaf and patchouli essential oils this bubble bar smells very similar to the hot toddy shower gel. Holly golightly also contains clove oil which just adds to this winter cinnamon Christmassy scent. To me it really reminds me of Christmas drinks and Christmas markets. This is such a wonderful combination of ingredients for a truly winter warming product. holly Golightly would be the perfect product to use to warm you up on those cold winter days and make you feel all snugly and Christmassy. At first I wasn’t 100% sure if I liked the scent as I tend to be more of a fan of sweet sugary scents. But after using it a few times it has defiantly started to grow on me. 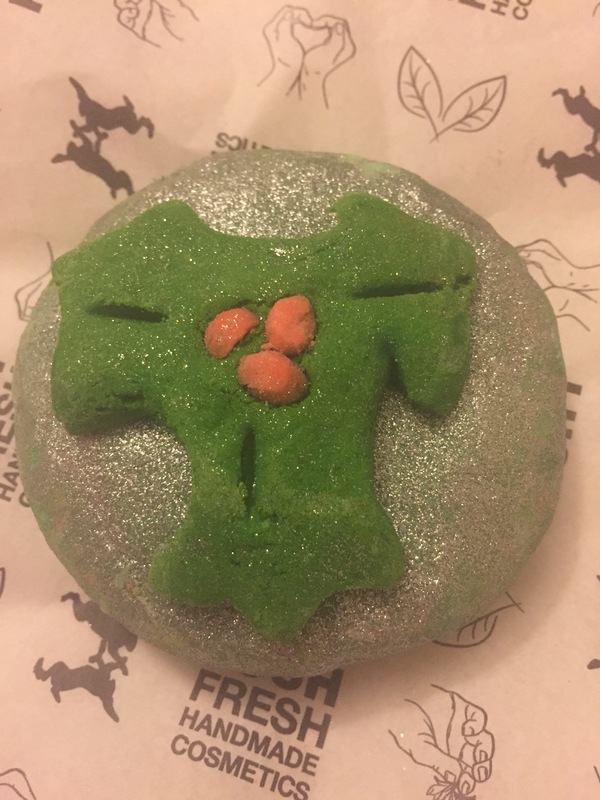 Now this bubble bar is pretty big (I was rather shocked at just how big it was) so is defiantly great value for money, you could easily get three bath out of this bubble bar. I personally cut it into four and each quarter provides plenty of bubbles for a bath. 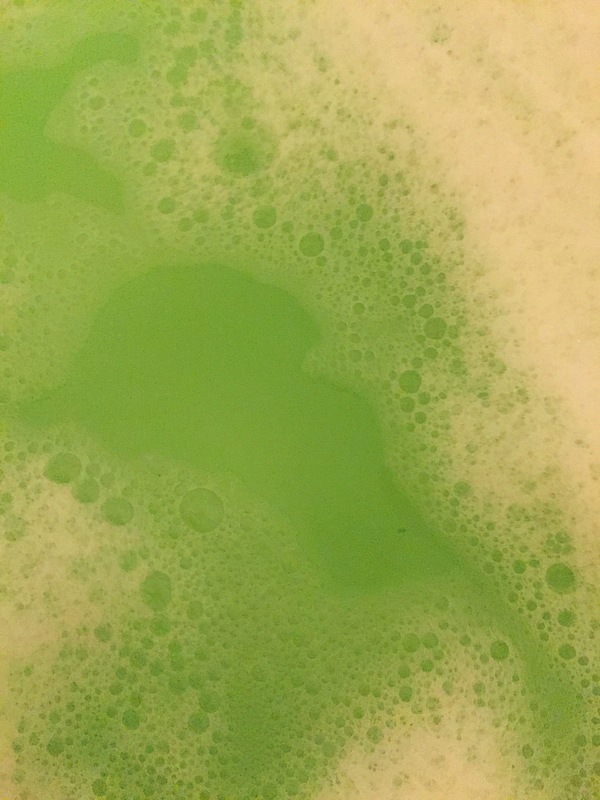 On the out side of this bubble bar is a lovely layer of silver lustre but the inside of this bubble bar is a beautiful bright green which is another great Christmassy touch. 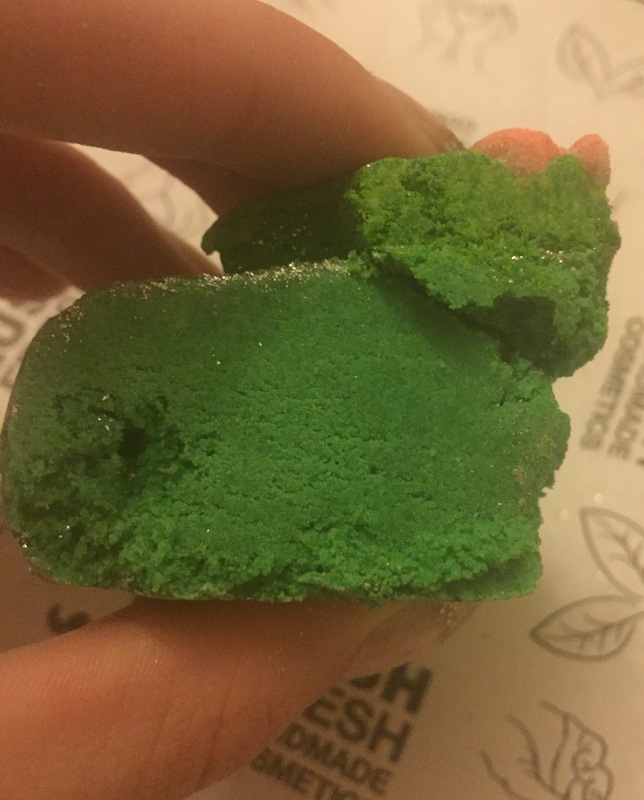 It is very very easy to crumble this bubble bar, in fact I found once cut it started to crumble on it own making it a little difficult to store without it breaking up. As soon as it hits the water it produces mountains of lovely white bubbles. The vivid green colour of this product turns the water a lovely shade of green. Overall although this may not be my favourite scent. I was still very impressed with the amount of bubbles it produced and how moistening this product was. Ingredients – Sodium Bicarbonate, Cream of Tartar, Sodium Laureth Sulfate, Lauryl Betaine, Cornflour, Clove Leaf Oil, Patchouli Oil, Lime Oil, Benzoin Resinoid, Cinnamon Leaf Oil, Sweet Orange Oil, Cinnamal, Eugenol, Limonene, Linalool, Benzyl Benzoate, Benzyl Cinnamate, Coumarin, Hexyl Cinnamal, Perfume, Colour 59040, Colour 42090, Colour 45350, Colour 45410, Colour 14700, Ice blue lustre; Silver glimmer lustre.